PDF Eraser is a tool that can delete unnecessary text, images, logos and other items from PDF documents. If you would like to clean up a PDF document that you received without having to manually edit it, this tool can help expedite the process. Users can use the program to remove some original content from a PDF file, and then add their text and images. 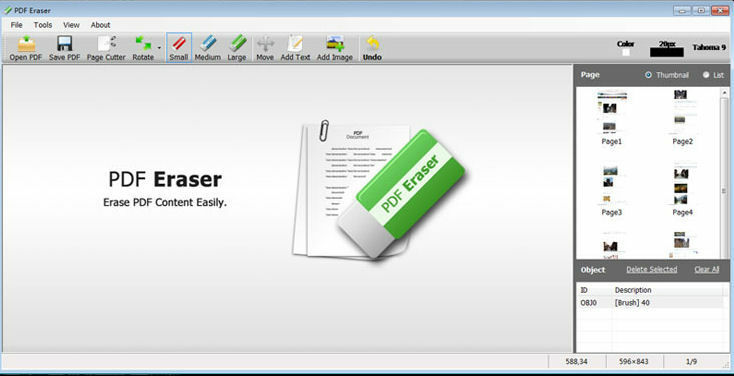 PDF Eraser also has a built-in PDF Page Cutter, which allows users to delete unnecessary PDF pages, and also has rotating functions.